The mystery thriller will be shown on November 11th at 8.30pm at The Gate Cinema Cork as part of the Cork Film Festival. ‘Cellar Door’ tells the story of Aidie (Karen Hassan), a fighter inside and out who searches for her son while in the grip of the Church. 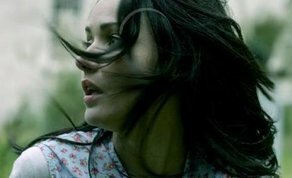 With a unique point of view on a familiar trauma, ‘Cellar Door’ cuts deep into the character’s subjective experience - an exploration of love regained and loss relived with the burning question throughout- Whats The Last Thing You Remember? From the acclaimed producer of Academy Award winning ‘Once’, David Collins of Samson Films and award winning film maker Viko Nikci (Coming Home), ‘Cellar Door’ picked up the Best First Feature award at the Galway Film Fleadh 2018. Starring an ensemble Irish cast including Mark O' Halloran (Adam and Paul) Catherine Walker (A Dark Song, Leap Year) and Ian McElhinney (Rogue One, Hamlet, Game of Thrones). ‘Cellar Door’ is slated for Irish cinematic release in January 2019.